At CrazyHealthInsurance.com we advise you about your health insurance choices. Health insurance has been crazy for a while now. We work hard to take out the craziness so you don't have to deal with it. We have over 60+ years of combined experience with health and life insurance in the Southern California area. We have always operated with integrity as our guiding principle. You will find us to be honest, hard working, and an advocate for you and your family. We have a very strong reputation with our clients and insurers alike. 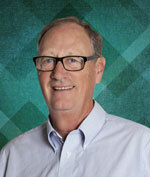 Tom is a 40 year veteran of the insurance industry. He has been a leader in enrolling families in health and Medicare insurance. He has enrolled over 1000 families in Covered California or direct with the insurance carriers. He represents all major plans and is very good at helping clients with their subsidies. Denise Anderson Denise Anderson is a 20 year insurance professional and has also enrolled over 1000 families in health plans since the advent of Obamacare. She is also a very productive Medicare agent and a small group wizard. Denise works in her Los Alamitos office and can be reached at 562 795 9201.